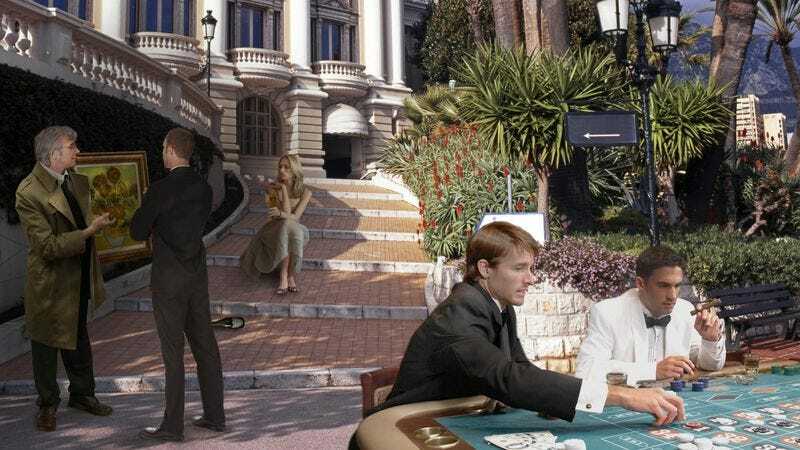 MONACO—Saying they avoided the inner-city-state at all costs unless they had no other choice, Monaco residents admitted to reporters Friday they were terrified to walk through the principality’s sprawling penthousing projects. “I just don’t feel safe there, with the string quartets blasting out of every open window at all hours and residents drinking Krug Private Cuvée right on their stoops,” said Monaco resident Christelle Guillaume, explaining how she felt uncomfortable walking past all the groups of young bon vivants playing high-stakes baccarat on the sidewalks in full view of passersby. “It gets really bad after dark when the art dealers come out and start selling on the street corners. I’d suggest avoiding the penthousing projects altogether and just taking a helicopter or hydrofoil if you need to get between Fontvieille and Monte Carlo.” When reached for comment, Monaco officials stated that while the area continues to struggle with white-collar crime, it has largely turned around since the principality launched an initiative to repair broken gas lamps and clean up local sculpture parks.